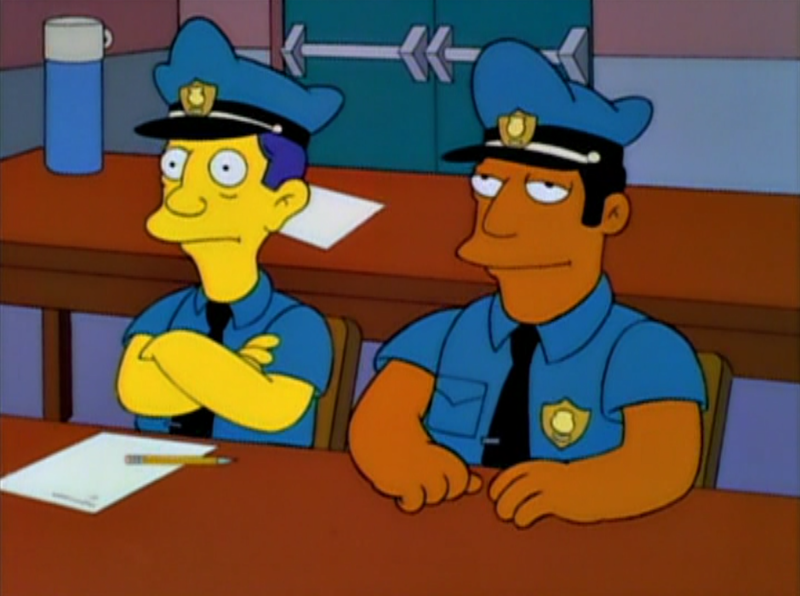 Earhart works at Springfield Police Department. When Marge start to work at the Springfield Police Department order Chief Wiggum him to back up Ward and Van Zuylen with Keneally. Episode – "The Springfield Connection"
Modified on November 4, 2016, at 17:53.